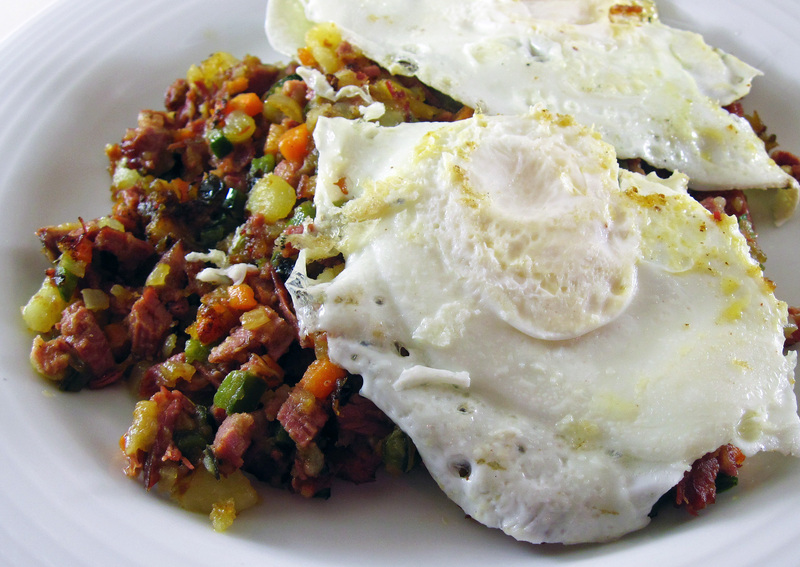 This Corned Beef Hash with Yukon Gold Potatoes is from Tom Douglas’ Seattle Kitchen, the first of Tom’s three cookbooks. Tom is a popular restaurateur in Seattle; this hash is served on the brunch menu at one of his restaurants, Etta’s. 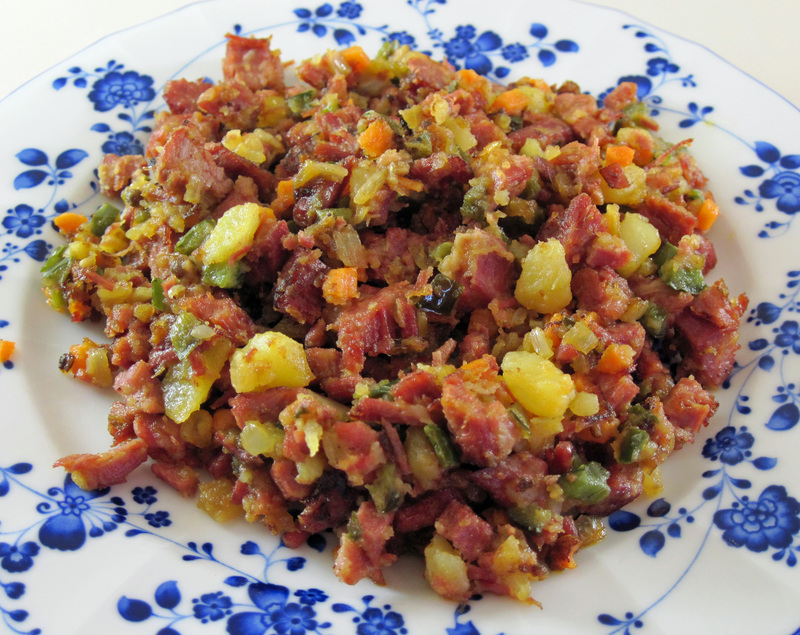 I already have a good, but pretty basic, corned beef hash recipe on the blog. But I had been eager to try Tom’s recipe to see how his version compares. 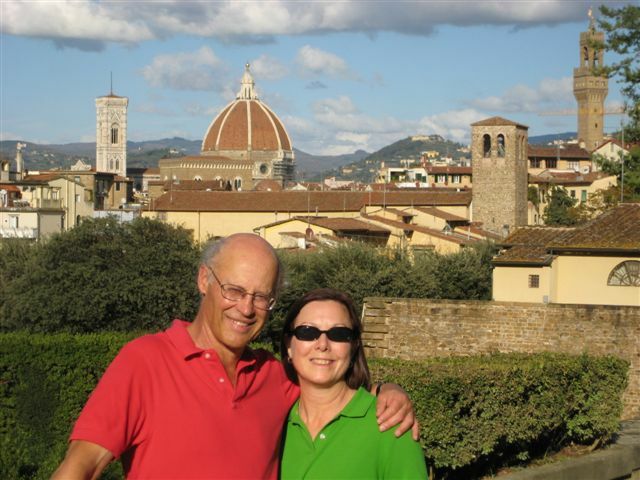 Bob and I both loved his version! 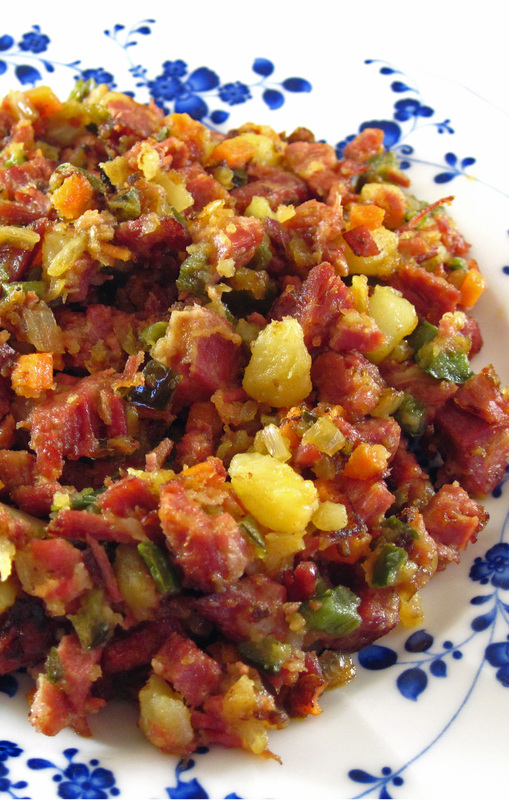 Most hash recipes have equal proportions of corned beef and potatoes. Tom’s recipe goes heavy on the beef. He adds a bit of spice with a poblano chile and just a touch of chili sauce. Along with the green chile, he uses some diced carrot. I love the flecks of color in the hash. The only thing that would have made it better would have been if the poblano chile had been hotter. The one I used was pretty mild. I did not make the Habanero Ketchup that Tom makes to serve with the hash. Bob doesn’t like anything that is ketchup-like, and I thought the habanero would be too spicy for me. Maybe I’ll try it next time. If you don’t have leftover corned beef, buy a 2 pound corned beef. Put it and the pickling spices it comes with in a large pot and cover with water. Cover; bring to a boil and simmer for 3 hours until it is tender. Add more water, if needed, as it cooks to keep it covered. This method makes the meat easier to shred for the hash. Let it cool. 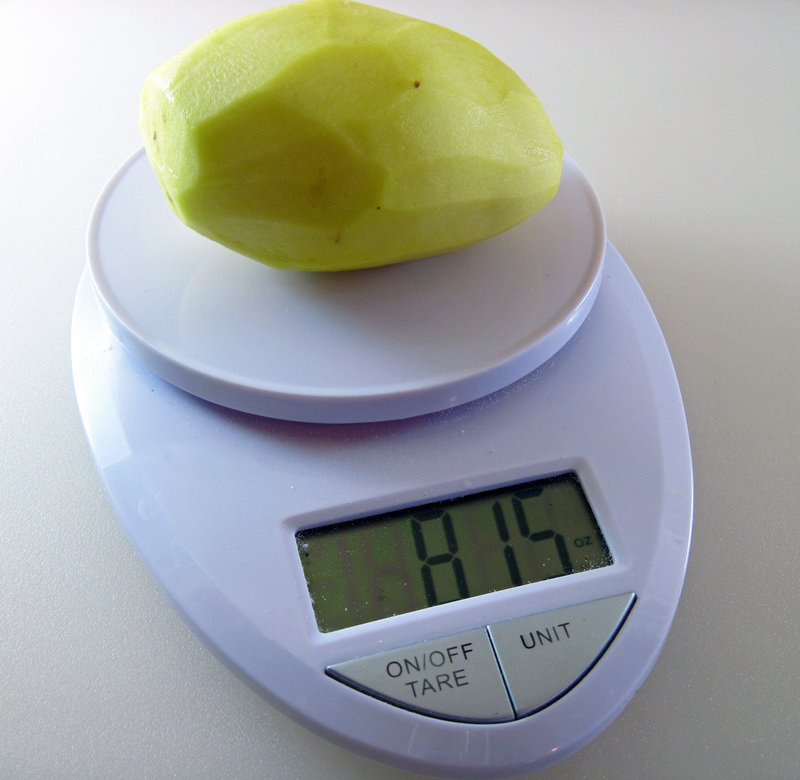 Remove the fat and shred it with your fingers. Chop the shredded meat into smaller pieces. 2. Put the potatoes in a pot. Cover with water and stir in about 1 tablespoon salt. Bring to a boil, then cover and reduce heat to a simmer. Cook for about 15 minutes or until just tender. Drain and set aside. 3. Put 3 of the tablespoons of butter in a large oven-proof skillet and heat over medium high heat. 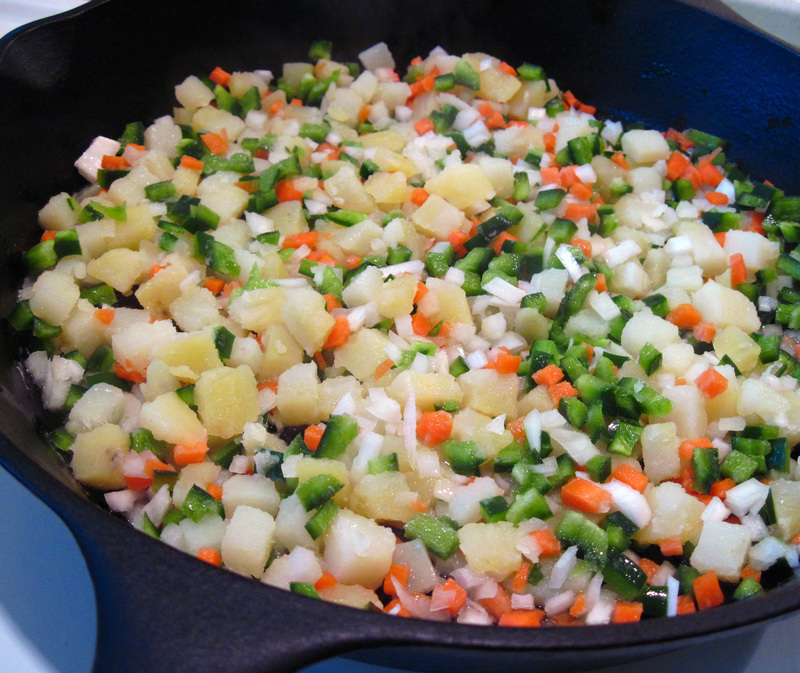 When the butter stops bubbling, add the potatoes, onions, poblano chile and the carrot. Toss them with the butter and cook, stirring occasionally, until the potatoes are just starting to brown. 4. Add the corned beef and the chili sauce. Stir and taste for seasoning. Add a bit of salt, if it needs it. Add the remaining 2 tablespoons of butter. Continue to cook, stirring occasionally, until it’s starting to get crispy. Put the pan in the oven to keep warm while you cook the eggs. 5. Cook the eggs the way you like them (poached, fried, scrambled). Serve the hash topping each serving with two eggs. Put all of the ingredients in a saucepan. Simmer for 5 minutes. Strain and discard the chile and the cloves. Let it cool and serve.